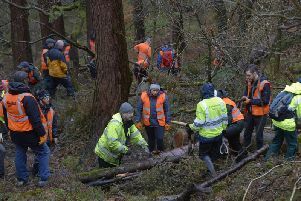 The utility firm said it would review the future management of Baitings, Turley Holes and Higher House Moors, which spread along the South Pennines between Todmorden and Ripponden. In a statement it said: “Sadly the tenant that leased our sporting rights passed away recently, meaning the sporting rights have been returned to us. “Before re-letting the sporting rights we have committed to reviewing all the activity on our land in the area and to look at all options for the future management of the land. The move has been welcomed by Ban Bloodsports on Yorkshire’s Moors, which is lobbying the water company to stop leasing moorland for grouse shooting. Over 18,000 people have contacted company chief executive Richard Flint to support ending the practice on utility moorland. 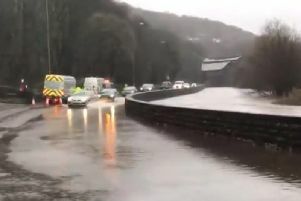 Spokesman Luke Steele said the water firm had done valuable work preventing flooding, and it was “an opportunity to restore the moor so it can mitigate flood risk and restore wildlife populations. Bradford Council decided to end grouse shooting on Ilkley Moor last year.